Where to find Tower Hill hotels near an airport? 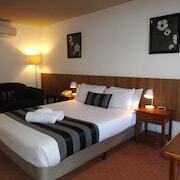 Where can I find hotels in Tower Hill that are near tourist attractions? For those hoping to find a hotel or apartment near Tower Hill, there are a number of options. Central Tower Hill has 5 apartments and hotels within easy driving distance. Hotels that are within easy walking distance of the center of Tower Hill, are the Tower Hill House and Saint Patrick's Luxury Boutique Hotel. The Gallery Apartments is located 12 kilometres (8 miles) away from the center of Tower Hill. 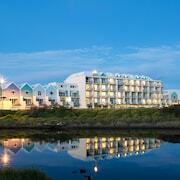 Another accommodation option is the Quest Warrnambool, which is situated 13 kilometres (8 miles) away. 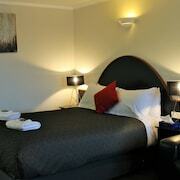 Alternative places to rest your head include the Lady Bay Resort and the Comfort Inn Port Fairy. Looking for more things to do? Why not spend some time enjoying Port Campbell Visitor Information Centre and Port Campbell Foreshores, in Port Campbell, 65 kilometres (41 miles) to the southeast of Tower Hill. 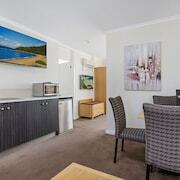 The Southern Ocean Villas and Port Campbell Motor Inn are a few of the Expedia-listed lodging alternatives in Port Campbell. 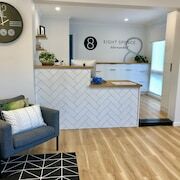 Alternatively, you could stay in Warrnambool, 13 kilometres (8 miles) to the southeast of Tower Hill, where you can pick from the Comfort Inn On Raglan and Quality Suites Deep Blue. Regardless of whether you're passing through or spending a few nights in Warrnambool, be sure to check out the Warrnambool Botanical Gardens and Warrnambool Beach. If enjoying sport is your passion, be sure to take a trip to Dunkeld Racecourse, which is 75 kilometres (47 miles) to the north of Tower Hill. 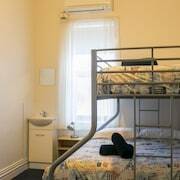 Those wishing to find a bed close to the stadium can select from the Southern Grampians Cottages or the Royal Mail Hotel, Dunkeld. Tower Hill features some terrific visitor attractions; learn more at Expedia's up-to-date Tower Hill travel guide. What are the most popular Tower Hill hotels? Are there hotels in other cities near Tower Hill? What other types of accommodations are available in Tower Hill? Explore Tower Hill with Expedia.ca’s Travel Guides to find the best flights, cars, holiday packages and more!